If you are student then read it. If you are teacher then teach it. If you are publisher then publish it. For 6th standard computer books: Print only 1st page or 1st and 2nd page. For 8th standard computer books: Print 1st, 2nd, 3rd and 4th page. For 10th and above standards computer books: Print 1st, 2nd, 3rd, 4th, 5th and 6th page. 1. By this educational research children can get education from internet more quickly. Development of any country depends on educated public. Education will be more effective in regional languages. Internet is the best way for this. Easy internet surfing program is the best way for education development. 2. Type in the address bar any three (3) keys twice, right to left and press Ctrl+Enter keys together. See picture and example : - jjhhgg.com (.com = Ctrl+Enter). 3. You will see your country languages. Select your language and get education. 4. After this you can read science, math, history, languages, etc which are available on internet. 5. Internet is the fastest way for communication. 6. Why is this computer curriculum important? Speakers of different languages are living in every country. Education is available on internet in every language but only on English domains. So, easy internet surfing method is very good option for education development in country. 7. Every one can get his content by this new technology. 8. Easy internet surfing is increasing literacy in country. It is a good step to achieve 100% literacy. When internet was starting then numbers of computers had started. After some time many computers was using these numbers These numbers was IP addresses. Now we are calling to these numbers IP addresses. After some time some inventor was chatting with each other for names of IP addresses. Now we are calling to these names "domain names". Now, 99.99% famous names are in English language. So, 25% illiterates and 30% non-English people of world have facing language barrier problem. "Google, Icann, Microsoft, Atoall.com and some others are trying to solve this problem. Atoall.com is getting one more step for non-English contents also. Domain names have only one problem that alphabets of domain names are in English language. So people have hesitation. Think, if all domains are in Chinese or Arabic then how we will feel." Now people can browse their contents by more easy options like they can press any three keys twice in the address bar, right to left e.g. ppooii (ctrl+enter) or ppooii.com, kkjjhh.com, hhggff.com see picture. After this they can search their contents in local language like a search engine. 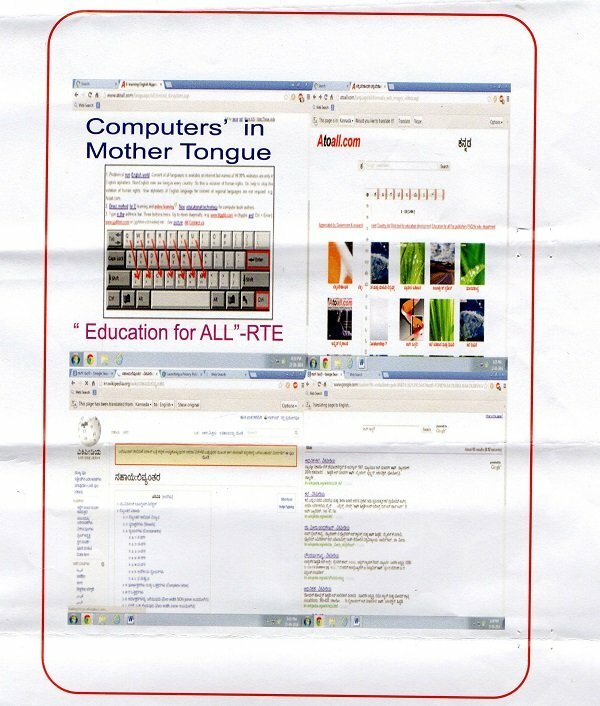 Internet technology of Atoall.com is a part of computer syllabus now. Education department of Kerala, Goa, Karnataka, Rajasthan, Haryana, Andhra Pradesh, Uttarakhand, Meghalaya, CBSE etc. have approved this technology to solve this problem. It is appreciated by NCERT (National Council of Educational Research and Training), Norwegian Ministry of Education and Research etc. Invention of Atoall.com is good for WEB FOR ALL. Alphabets of Example.com are in English and without sequence. 50% of the world's population is non-English. They are unable to visit Example.com because they don't know English. 1. Alphabets of websites are in English. 50% of the world's population is non-English, they can't visit. 4. Type web tool in address bar e.g. www.ppooii.com or (ppooii and Ctrl + Enter), www.hhggff.com etc. See keyboard picture. 5. Now you will see your Example.com by Shortcut web tool !!!!!!!!!!!!!!!!!!!!!!!!!!!!!!!!!!!!!!!!!!. There is a new technology of internet for education development in respect of "Education for All" law for education in the whole world and "Right to Education" law for education in India. This technology will help those people who are feeling difficulty in internet surfing in English and people will get education by this system in his/her mother tongue faster. Main point of "Right to Education" law, relates with Atoall.com:- It provides for development of curriculum in consonance with the values enshrined in the Constitution, and which would ensure the all-round development of the child, building on the child's knowledge, potentiality and talent and making the child free of fear, trauma and anxiety through a system of child friendly and child centered learning. Main point of "Education for All" law, relates with Atoall.com:- The central role of appropriate learning materials, the need for a of old and new technologies, the importance of local languages for initial literacy.